This post has already been read 936 times! Most exercise science research occurs in a controlled environment. Professors and students design a workout regime, find subjects to monitor, then track their improvements over time. This works for some tests, but what happens when participants are off their scheduled routine and back to their regular habits? How do you get people to increase their physical activity and eat better on their own? This is the type of question Todd Bartee wants to answer. As a health education specialist, Bartee is interested in projects that improve the public’s well-being in a long-term, sustainable way. He wants decision-makers to understand the value of healthy living and how it can benefit a business, school, organization or community. Then they can tackle the barriers that prevent people from pursuing healthier lifestyles. “I really focus on partnerships and working together. That’s one of the things that drew me to UNK,” said Bartee, who is in his ninth year with the university. Bartee brings a public health perspective to the exercise science program – something that shows up in his research. The UNK professor is currently part of a two-year project in his hometown of Columbus that aims to build capacity among community members and ultimately reduce the risk for chronic diseases in residents there and surrounding communities. 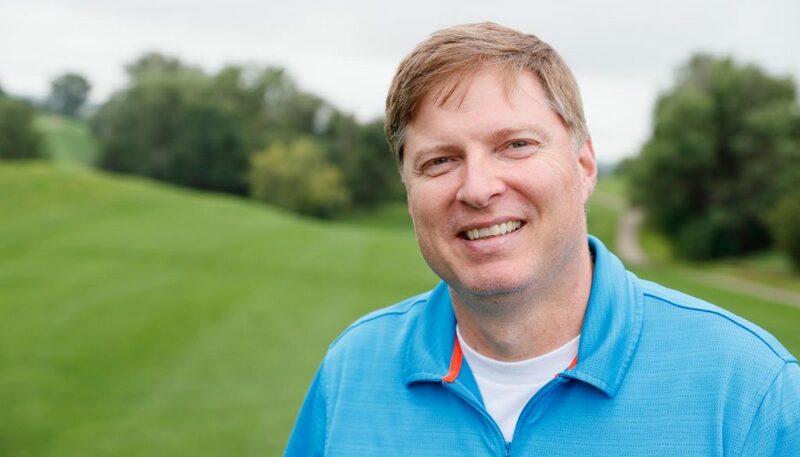 Bartee, who graduated from Columbus High School in 1989, learned about the Platte County Lifestyle Coalition from a friend who also happens to be a school nurse in Columbus and member of the coalition. After meeting with a couple other coalition members and discussing the group’s goals and challenges, Bartee knew he wanted to get involved. “It ended up being a good match,” said Bartee, who scrambled to write a grant application and submit it to the University of Nebraska’s Rural Futures Institute in a short three-week time frame. The funding was approved in May 2017. The Platte County Lifestyle Coalition evolved from a community health needs assessment that showed a prevalence of chronic conditions such as obesity, diabetes and heart disease in the area. That doesn’t surprise Bartee, who has degrees in health education from the University of Nebraska-Lincoln and University of Alabama. The coalition’s job is to counter this trend by coming up with strategies that prompt small changes in a large group and eventually lead to a reduction in chronic diseases and improved health throughout the county. 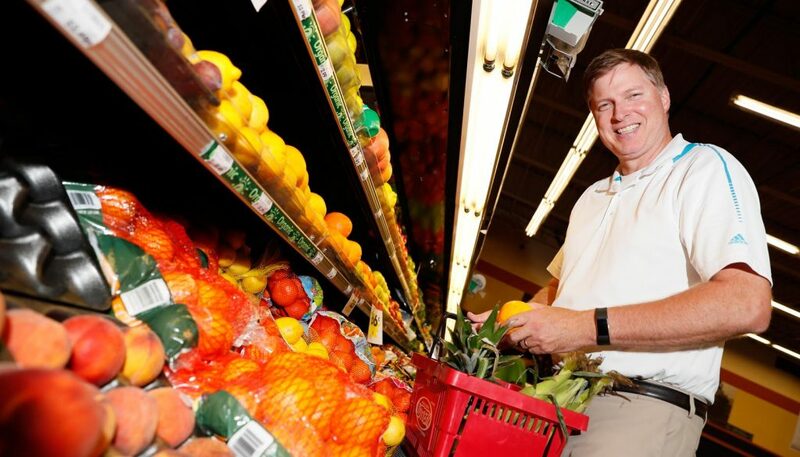 “It’s those gentle nudges that we’re really promoting,” Bartee said. The Rural Futures Institute-funded project launched in July 2017 with strong buy-in from community leaders. The coalition includes representatives from the Columbus hospital, health department, chamber of commerce, government and school districts. On the academic side, Bartee is joined by associate professor Jennie Hill with the University of Nebraska Medical Center and faculty from the Center for Community Health and Development at the University of Kansas. The coalition has already identified priorities and started implementing strategies targeting those areas. Bartee’s goal for the project is to ensure the coalition has the structure and leadership in place to continue addressing public health issues long after the grant funding is gone. “We don’t want this work to end when those external resources go away,” Bartee said, adding that he’d like to see the coalition expand beyond Platte County. He also wants others to learn from the group’s work, which is why the Platte County study research team is pursuing publication and presentation opportunities. “As an academic field, we continue to improve our methods of working with communities to make changes at the population level,” he said, noting that each community is different, just like each person is different. To emphasize the importance of good health, Todd Bartee believes more research needs to focus on the outcomes schools, businesses and other entities are looking for. That’s one of the challenges of public health. Individuals and decision-makers must see the benefits of promoting a healthy lifestyle, whether that’s more productive workers, better test scores for students or lower social costs. A study conducted by Bartee, fellow UNK exercise science professor Kate Heelan and UNK associate professor of accounting and finance Bree Dority provides some insight. The article, published this fall in the Journal of School Health, looks at the relationship between increased fitness and students’ scores on standardized math and reading tests. Their results show students from Kearney elementary schools who improved their fitness levels also saw a 3-5 percentile jump in math scores. To emphasize the importance of good health, Bartee believes more research needs to focus on the outcomes schools, businesses and other entities are looking for. Heelan began collecting body mass index data for Kearney Public Schools students more than a decade ago to track trends and measure the success of programs. The district received a grant through the U.S. Department of Education to improve its physical education and wellness programs and gained national attention when the obesity rate for students in kindergarten through fifth grade declined by 15 percent from 2006 to 2012. An article from Bartee, Heelan and Allison Nihiser and Bettylou Sherry from the Centers for Disease Control and Prevention detailing this success was published in 2015 in Childhood Obesity journal. Bartee’s concern, though, is this progress will plateau unless Kearney Public Schools and other districts see additional benefits associated with student wellness. That’s the motivation behind the Journal of School Health article. The same is true for worksites, he added. Bartee plans to conduct a future study that looks at school districts’ and worksites’ adoption of wellness initiatives and identifies the perceived barriers and benefits that might exist. Community health is a relatively unknown concept for exercise science students, most of whom are looking at careers in areas such as physical and occupational therapy, personal training, fitness instruction and strength and conditioning – jobs focused primarily on one-on-one work with clients. “It’s challenging for students because it’s not traditionally how you think about exercise science,” Bartee said. He combats this by bringing those real-world, off-campus experiences to the classroom. “That’s what brings the work to life,” he said. Bartee often involves undergraduate students in his research, and he gets entire classes out in the community when possible. 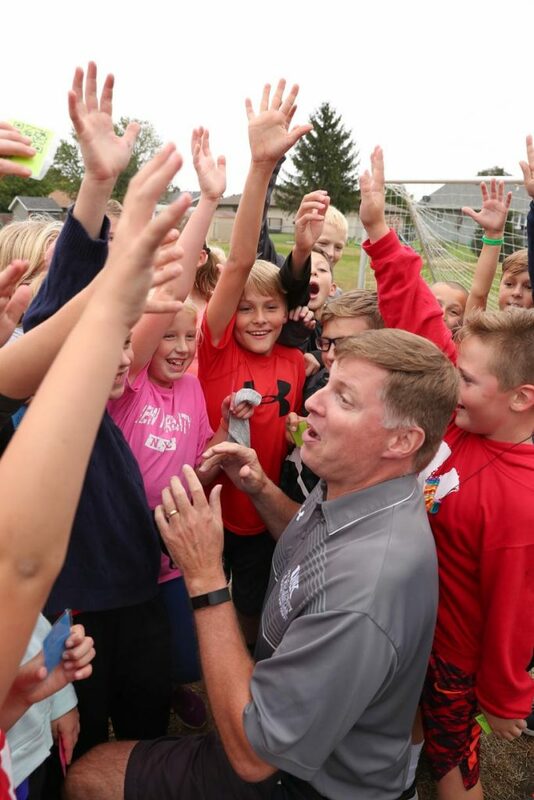 For instance, he worked with the Nebraska Children and Families Foundation and two Kearney elementary schools to start a wellness initiative supporting students’ social and emotional health. Getting people in the schools together to support social and emotional health led them to do more to promote physical activity and nutrition, as well. 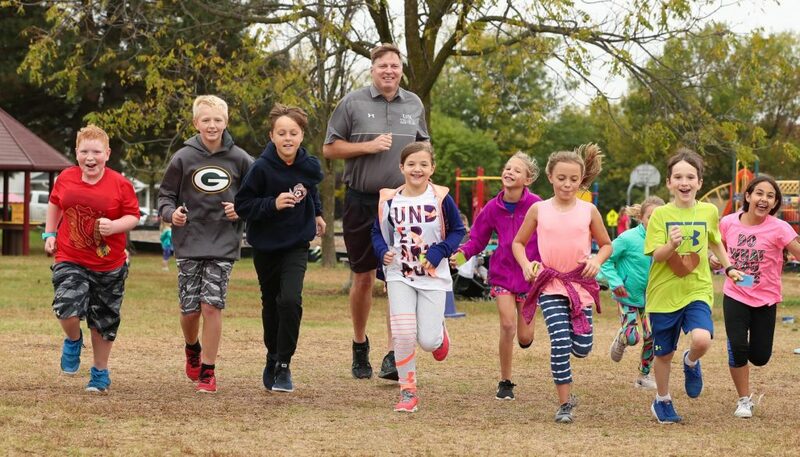 As a result, UNK students from his public health aspects of physical activity course regularly visited an elementary school to walk and run with the young children. A year after the program started, the elementary schools began taking ownership. UNK’s involvement eventually ended, an unfortunate side effect of the program’s success. Back in the classroom, Bartee said the public health process – engage a group, assess their needs and strengths, set goals, develop an intervention plan and evaluate the results – is applicable for students pursuing a variety of careers. “Even though we’re talking about populations of people and not necessarily one-on-one, it’s all relevant to where they’re going in the future,” he said. That being said, Bartee is pretty pleased when students decide to pursue a master’s degree in public health or career in health promotion. “Those are the rewards that keep you coming back,” said Bartee, who loves hearing about students accepted into graduate school or landing their first job. 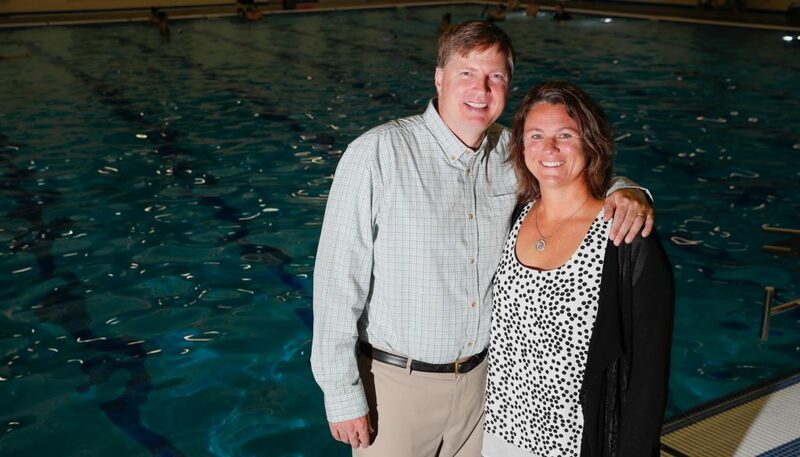 Todd Bartee spent 10 years as an assistant and associate professor at the University of Wyoming, where his wife Jane was an assistant swimming coach. An All-American swimmer at Nebraska, Jane also competed for her native Australia in the 1995 Pan Pacific Championships. How Bartee got started in health education is a different story. “I couldn’t do a backflip. That’s the short answer,” he explained half-jokingly. After graduating from Columbus High School, Bartee enrolled at UNL as a business major. That was OK, he said, but his mindset changed after returning to his hometown following a family illness. While earning an Associate of Arts degree at Central Community College-Columbus, the 6-foot-4 forward played junior college basketball, took some wellness and fitness courses and gained interest in exercise science while assisting a physical therapist volunteering in the athletic training room for the Columbus High football team. Bartee, who is color blind, saw that as a limitation for many health care professions, so he looked at a career in education instead. 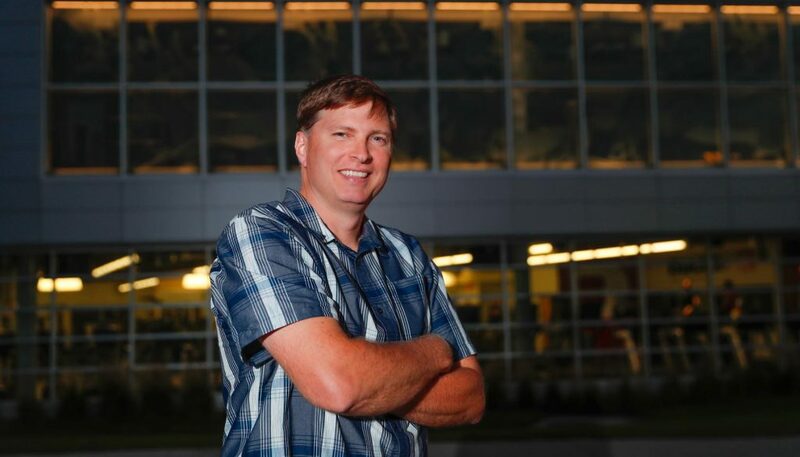 When he returned to UNL, Bartee’s future was a toss-up between teaching physical or community health education, then he heard you had to do a backflip to pass PE. “There’s absolutely no way I’m doing that,” said Bartee, who went on to earn a Bachelor of Science in Education degree in community health education. He completed a 20-hour practical with the Lincoln-Lancaster County Health Department, which led to an internship as an epidemiology assistant, then decided to pursue a master’s degree at the University of Alabama, where he was part of a multiyear worksite health promotion initiative with Alabama Power, Gulf Power and Baptist Health System. “It couldn’t have been a better experience,” said Bartee, who also earned a doctorate in health education and promotion from Alabama. Scholarship that applies and creates new information continues to scratch that itch. Bartee spent 10 years as an assistant and associate professor at the University of Wyoming, where his wife Jane was an assistant swimming coach. An All-American swimmer at Nebraska, Jane also competed for her native Australia in the 1995 Pan Pacific Championships. In 2009, the family, which included three young children at that time, made the move to Kearney when Bartee joined UNK. “It’s been a good home for us,” Bartee said while applauding his colleagues for recognizing the importance of public health education and its value within the kinesiology and sport sciences department. The exercise science professor is happy to be back in Nebraska, helping the students and communities he shares a special bond with. “It’s really rewarding to give back to the state,” Bartee said. Education: Associate of Arts, Central Community College-Columbus, 1992; Bachelor of Science in Education, community health education, University of Nebraska, 1994; Master of Arts, health studies, University of Alabama, 1996; Ph.D., health education and promotion, University of Alabama, 2000. Career: Epidemiology assistant, Lincoln-Lancaster County Health Department, Lincoln, Nebraska, 1994-95; Health promotion specialist, Health Enhancement Solutions, Tuscaloosa, Alabama, 1995-97; Graduate assistant, University of Alabama, 1995-1999; Associate director, Health Enhancement Solutions, 1997-99; Lecturer, University of Wyoming School of Physical and Health Education, 1999-2000; Assistant professor, University of Wyoming Division of Kinesiology and Health, 2000-06; Adjunct clinical faculty, University of Wyoming Division of Medical Education and Public Health, 2006-09; Associate professor, University of Wyoming Division of Kinesiology and Health, 2006-09; Associate professor, University of Nebraska at Kearney Kinesiology and Sport Sciences Department, 2009-12; professor, UNK Kinesiology and Sport Sciences Department, 2012-present. Family: Wife, Jane; Children, Lucy, 15; Callie, 13; and Owen, 11. 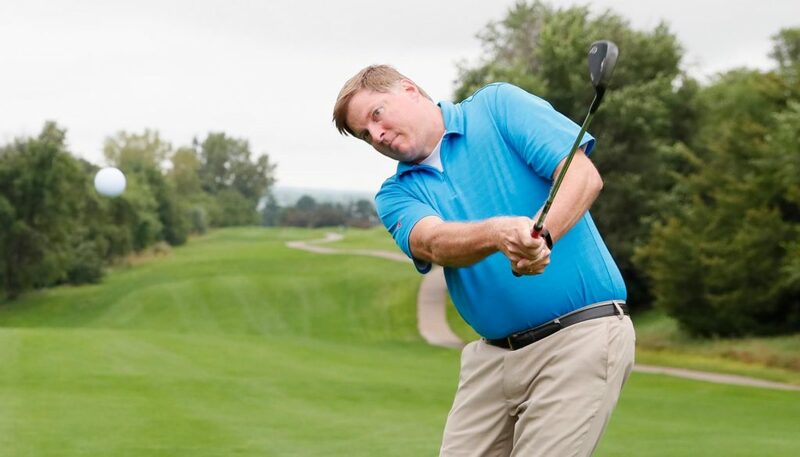 Hobbies/Interests: Golf, reading, driving my kids around. Honors/Awards: Rural Futures Institute fellow, 2017-present; Future Leaders Academy member, American School Health Association, 2009-10; Jack Davis Professional Achievement Alumni Award, University of Alabama College of Human Environmental Sciences, 2009; Fellow, Physical Activity and Public Health Postgraduate Course on Research Directions and Strategies, University of South Carolina and Centers for Disease Control and Prevention, 2008; Top Prof, University of Wyoming, 2005; New Investigator Award, University of Wyoming College of Health Sciences, 2004; Keynote speaker, AAHE Health Education Major of the Year Breakfast at AAHPERD/AAHE in Philadelphia, Pennsylvania, 2003; Mountain West Conference, Committee on Medical Safeguards and Medical Aspects of Sports, National Collegiate Athletic Association (NCAA), 2001; Finalist, “Warming Up the Chill” Project, Center for Teaching and Learning, University of Wyoming, 2001. Areas of research/specialization: Understanding the process of planning, implementing and evaluating effective and sustainable interventions that lead to lasting behavior change from a public/population-based perspective. While I’m most interested in change at the community or organizational level, I’ve done a lot of process evaluation work as part of funded intervention projects that focus on changes with individuals. The research addressed how well the intervention was implemented and why it did or didn’t lead to expected outcomes. Research questions related to understanding an individual’s behavior change include what factors lead to or influence changes in physical activity or nutrition, for example. The social-ecological approach has been embraced by public health for some time and it also drives the lens for which I view how research can and should have an impact on communities, organizations and, ultimately, individuals. At any given time, there are many individuals who want to change and they need support and guidance to make those changes. We live in a society where the healthy choice is not the easy choice. How do we create healthier environments in communities, worksites, schools, communities of faith, etc. to reduce barriers and create opportunities for healthier choices to be made on a daily basis? There is growing research evidence on the benefits of living healthier lifestyles, but what does it take to get decision-makers of organizations and communities to invest in making changes to support healthier lifestyles? Courses taught: Volunteer Practicum, Introduction to Health Promotion and Public Health Aspects of Physical Activity. – “The Influence of Aerobic Fitness and Academic Ranking on the Association Between Improvements in Students’ Aerobic Fitness and Academic Achievement,” Journal of School Health, 2018. – “Decreasing Childhood Obesity – The Kearney Nebraska Story,” Childhood Obesity, 2015. – “Applying the Process of Health Promotion in Schools,” Journal of School Health, 2010. – “Evaluation of School Transportation Patterns and the Associated Impact on BMI in Two Midwestern Communities,” Journal of Physical Activity and Health, 2013. – “Evaluation of a Policy to Integrate Physical Activity into the School Day,” Journal of Physical Activity and Health, 2013.